Lifestyle Building & Maintenance specialises in quality building, carpentry, renovation and landscaping services for residential and commercial clients. Established in 2009, Lifestyle Building & Maintenance began as the product of a shared dream, a passion for carpentry, working outdoors and a family trade. We promise the highest standard of building practices and quality. By surrounding ourselves with skilled staff and subcontractors, we've succeeded in maintaining the reputation for credible, trustworthy and solution focused tradesmen. Our team are proud to say that we can be relied upon to deliver on these promises for every job. True to our name, our mission is to help you bring your dream home to life. Stritt Design and Construction specialises in the design and construction of traditional coastal homes on Sydney's Northern Beaches and North Shore. The company offers a design and construction service with a particular focus on Hamptons inspired beach homes. Stritt Design and Construction was established in 2001 by Designer, Builder and Director, Alex Stritt. Alex is passionate about building and design and has extensive industry and technical knowledge in both construction and design. Alex has over 25 years of practical experience in high end residential projects, in particular architecturally designed homes and luxury beach houses. The company's success has been built on providing an uncompromising level of client service and excellence in building standards. Alex also serves the role of Vice President of the Master Builders Association NSW, Northern Division. Houses designed and built by Stritt Design and Construction have been featured in a number of publications including Australian House and Garden, Home Beautiful, Real Living, Contemporary Home Design and Home Build magazines as well as The Sydney Morning Herald. 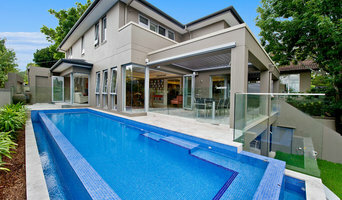 The company has been featured on TV programs such as 'Best Houses Australia' and 'The Morning Show'. Our team of professionals at Family Homes Designers and Builders will transform your house into a beautiful and functional family home, designed to meet the needs of the whole family. Twenty years of experience as a leading force in building on Sydney’s North Shore has lead to the formulation of our simple 7-step process, which ensures your design and building journey stay on track, on time, and on budget. By engaging Family Homes as your contractor, you gain more than a first class addition, renovation or extension to your home, you enjoy the reassurance of a committed and professional team, dedicated to taking into consideration your comfort and convenience during construction. Throughout the North Shore and Northern Beaches, Family Homes has transformed houses into beautiful homes by combining building, design and construction with commitment to excellence and a strong focus on the vision of the family that lives there. Those wanting a design & construction firm that can take their renovation project from concept to completion, need go no further than Design Artistry. This interior designer & builder team are specialists in the kitchen, bathroom & interior renovation field and offer a complete design & fully licensed building service. "We believe that attaining the ultimate outcome for any design project is achieved when design excellence & quality building practices combine to create a total solution for your residential renovation" says co owner Carla Waghorn. Carla is an impressive designer with high achievements in the industry as a KBDi NSW Kitchen Design Finalist. The other half of the team, Craig Waghorn is a fully qualified builder that executes every project with quality workmanship & attention to design detail. The two have been working together in the industry for over 10 years. "We both love the interaction, working hand in hand with our clients to develop their ideas into the best possible design solution." says Craig "Our objective is always to create a space that our client's will love." UNIQ Building Group is committed to operational excellence and developing new and better solutions that provide commercially sound outcomes for clients. A Strength of the company's culture is client trust and confidence. We recognise our success is dependent on providing adaptable structures to enable everyone involved to continually improve all aspects of the company's business activities. 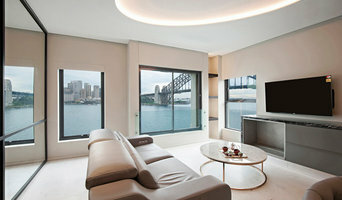 PAPPAS ALEXIOU is a Sydney-based boutique architectural and interior design studio with decades of design experience in Australia and abroad. An award-winning design studio, PAPPAS ALEXIOU is passionate about the art and science of designing buildings and their possibilities. Design with architectural skills, knowledge and experience leads to practical concrete results and solutions. Our success is based on a simple philosophy: Collaboration and an integrated approach. Our role is to pre-empt your every need and deliver the end result leaving no detail unattended while exceeding your every expectation. We specialize in client specific responsive design solutions across most sectors and our commissions include: private homes and apartments, residential developments, retail showrooms and corporate workspaces, museum, hospitality projects and boutique hotels. Our directors are personally involved in all projects and our mission is to help you bring your vision to life. Extending your home could be one of the best decisions you’ve ever made. Unfortunately it could also be one of the most stressful periods of your life. You need to be sure that the end result will be what you want and that the experience will be a pleasant and straightforward one. This is where Extend a Home can help you. We have been specialising in ground and first floor extensions since 1974 and our directors have a combined total of over 100 years in the industry. Our main focus is upper storey home additions. Your result is our top priority. You’ll benefit from our Company’s Vision which is to be recognised as the industry leader in the design and construction of quality ground and first floor extensions. What this vision means for you is that you will receive the best quality service and workmanship available. We custom design in our stride without needing big infrastructure to achieve high-end AAA quality build results in remote locations with in-house engineering expertise, equally we thrive in Modern City living with small space and CDC constraints. We have built the most expensive privately owned resort for our Red Bull Client, which we completed ahead of schedule and on budget. Our capacity has seen us build the largest Marina in Southern Hemisphere but we also get great satisfaction from small unique design projects as we strive to create habitable art where your space becomes both beautiful and practical. Blue Frog Studio has a team of passionate professionals dedicated to finding the best renovating solutions for your home. We offer a bespoke service that tailors a solution that suits your family's unique needs. Blue Frog Studio is a true one-stop-shop for all your renovations, additions, extensions and home improvement needs. We are experts in design with years of experience working with builders and architects to create award-winning projects. We cater for every size of project and work with you to develop a realistic budget for your project. We approach any design and renovation project with one goal in mind – the successful completion of the job and a satisfied client. To achieve this we apply a “listen, ask and inform” philosophy to ensure the end result far outweighs expectations. Each renovation is unique so we use our small but passionate in-house team as a base then look at what skill sets are required for each project. Then we create a team based on the needs of the job – this guarantees we have the expert knowledge on hand to suit the style and brief for each individual project. Whether you're looking at a renovation, interior fit-out, extension or design expertise we at Blue Frog Studio can provide the skills and trades to ensure a successful outcome. At Austral Build we are committed to excellence and exceeding expectations - on budget & on time. Our passion for building design, attention to detail and impeccable client service are the cornerstones of our business. Knowing this comes at a cost, we put a huge emphasis on providing comprehensive solutions to suit project budgets and pride ourselves on extreme integrity and transparency. Austral Build’s extensive building background is a combination of over 50 years of combined knowledge and dedication to continuous improvement and sustained growth. We’ve achieved this through the successful completion of projects across a wide range of industry sectors, from residential to commercial and major corporate. As one of the few builders with a dedicated estimating department, an Austral Build quote is a true service. We are able are able spend the time required to analyze your plans and deliver the most thoroughly researched and detailed quotes. We simply have a higher accuracy rate, because we understand the market trends due to our relationships with our broad network of suppliers. We can provide accurate and on-point projections on bringing your vision to life within the budgetary expectations of all parties involved. Post completion, all our clients have peace of mind knowing that we are responsive to their requirements and can adapt to any changing needs. Because we make building long term relationships a priority we become so familiar with the client and the project itself, we can provide a post completion service like no one else. Austral Build prides itself on delivering outcomes that suit our clients needs while reflecting their way of life. Featured on Grand Designs Australia. Have you really thought about how you want the interior of your home to function in the next five years? Time to rethink! Through personal client discussions and sketch plans, we can help you to visualize spaces that really work for you. With over 10 years experience in residential & commercial design, Plan 2 Design, specialises in practical planning solutions to maximise your interior space, whether it be a small project like a laundry through to a major reconfiguration of your home. We optimise the usage of your space with cleverly thought out solutions through flexibility and storage especially with our living spaces becoming smaller. We also love colour and are not afraid to use it whether it be a highlight in your kitchen through to soft furnishings or paint finishes or even a personalized mural. Firms that can carry out both design and construction in Bondi, New South Wales take on the combined responsibilities of an architect, draftsman, construction company and additional contractors, providing one point of contact for homeowners. Having one entity responsible for the entire design and build, from estimation to subcontracting and even post-construction, streamlines and often speeds up the project significantly. Having a unified project team can also help you avoid unforeseen costs and delays in construction. In addition, the homeowner only has to interpret one contract with the design and construction firm, and not with various architectural design and contracting professionals. However, depending on the firm, you may still want to contact an interior designer or architect to help create the exact look you want. Here are some related professionals and vendors to complement the work of design & construction firms: Interior Designers & Decorators, Landscape Architects & Designers, Architects, Photographers. Project management demands time, skills and an eye for both detail and efficiency. While many homeowners choose to manage their own projects, they can often regret their decision once the build or home improvement project is complete. Homeowners should carefully consider the time they have available to allocate to locating, hiring and eventually paying every contractor who enters the site. 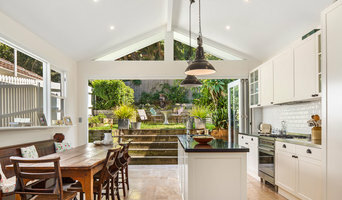 From certifiers to roofers, and even your draftsman, a firm that can undertake design and construction in Bondi, New South Wales benefits from having all of these home professionals under one roof. Find a Bondi, New South Wales design-build firm on Houzz. Scroll through this page to find design-build firms in your area. You can browse recent projects, read reviews and message the firm directly. 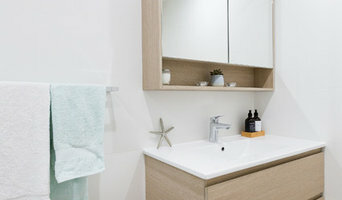 Another way to find a firm that can carry out design and construction in Bondi, New South Wales is to browse Photos on Houzz. If there’s a photo you like, find out who designed and constructed it and strike up a conversation with the professional responsible.